This metal truss bridge in Williamson County is no longer used for vehicle traffic. As recently as 1989 there were almost 1,300 metal truss bridges in the state. Now, we’re down to around 130 — just 10 percent of what we had 25 years ago. 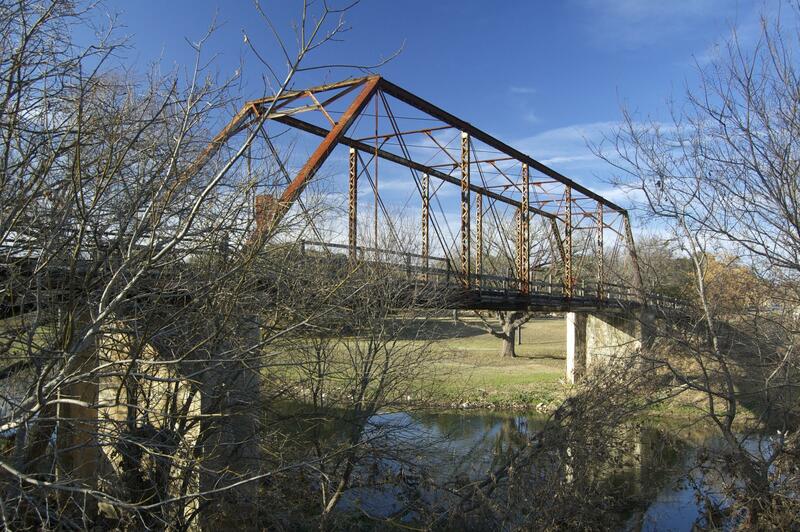 Metal truss bridges were built in Texas by the hundreds in the late 1800s and early 1900s. They were relatively inexpensive to put up and their strength and beauty came from the metal design reaching up on either side of the bridge. In the heartbreaking romance "Bridges of Madison County," Clint Eastwood and Meryl Streep fall in love while tracking down Iowa’s covered bridges. Those are the kind of old truss bridges Paul Pape remembers fondly from growing up in Indiana. 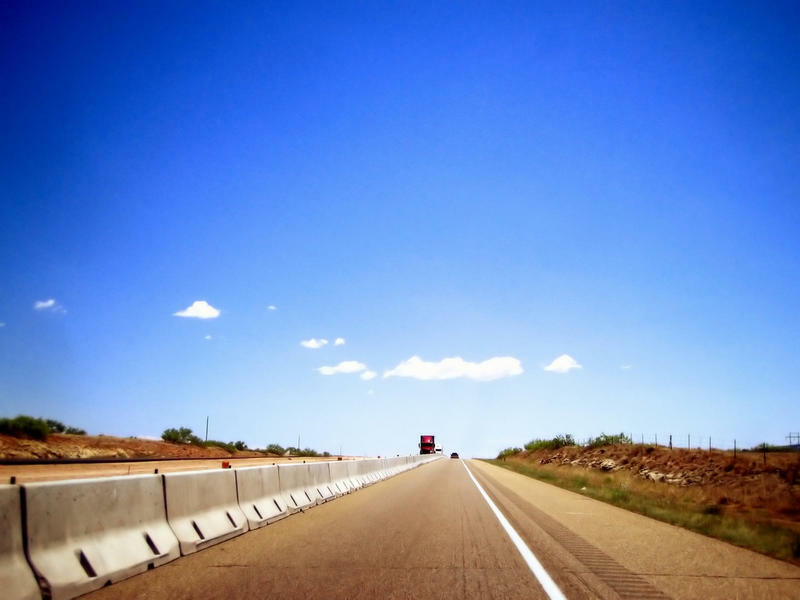 An audio version of the Texas Standard post "What's Happening to Texas' Metal Truss Bridges." Listen to the rest in the audio player above. Improvements and enforcement aren't coming fast enough. If you live near the Eagle Ford Shale you may have heard an ad from the Texas Department of Transportation warning drivers in the area to be extra cautious on the roadways. It’s part of a campaign called "Be Safe, Drive Smart." Roadways aren’t like they used to be. Before the shale oil boom, the 26 counties that make up the Eagle Ford were small, bucolic places – country roads, few cars.